Shilajit is a mountain balm that has unique healing properties. It is used to treat a variety of diseases since ancient times, described in the ancient medical treatises of Tibet and India. Mongolia and Central Asia. How to take this remedy? This can be done in various ways. Aqueous solution mummy. Pour into a beaker 400 ml of warm water and pour 5 g of powder of Shilajit. Stir and leave to infuse. After 1.5-2 hours, strain and add a little more water, bringing final volume to 500 ml. If the powder quality, the solution will turn translucent, almost no sediment. Keep it in the refrigerator for 15 days. Spirtovanny tincture of mummies. Grind 10 grams of Shilajit, pour 70 ml of 20% aqueous ethanol. Leave 7 days at room temperature, 2 times a day stirring occasionally. Then strain, add to the residue 30 ml of alcohol, leave to infuse for another 3 days. After 12 hours the solution stir again and strain. Then mix both liquids on the day put in a cool place, strain, add the alcohol until reaching a volume of 100 ml., the resulting tincture should be yellow-brown, with a characteristic odor and pungent taste. Water-glycerol solution mumie. Put 10 g of the mummy in the flask. Prepare a mixture of equal parts distilled water and glycerine, pour 200 ml of this solution Shilajit and simmer for 30 minutes. Then put for a day in a cool place. When the bottom settles insoluble mass, pour the liquid all drain and fill to a volume of 200 ml mixture of water and glycerin (1:1). Will turn a dark brown solution with a sweet smell mummy. Ointment with mummy. Add 5 grams of Shilajit powder a few drops of distilled water to obtain a paste. Mix it with 45 g of a fatty basis or plain vaseline. Ointment should be greyish-black homogeneous, without grains. To take the mummy inside is best early in the morning or at night, 3 hours after a meal. The dosage of 100-200 g per one time, not more than 500 g per day. The most common regimen – 2-3 times a day, 30 minutes before a meal. For 10-12 days. Then a break for 10 days and repeat the course. Shilajit is an organic substance mined in caves and cracks of the mountain rocks. Since the days of Hippocrates it was used as a universal medicine. However, currently the so-called "rock resin" is not lost its relevance, it is widely used in traditional medicine and cosmetology. For the treatment of hair loss dissolve Shilajit in the infusion of burdock roots. 1 tablespoon chopped roots pour a glass of boiling water. After the infusion cools down to 35-40 degrees, dissolve in it 1 gram Shilajit (5 tablets or 1/5 tsp powder). Daily RUB the mixture into the hair roots. For the treatment of stretch marks dissolve 5 grams of Shilajit (25 tablets or tsp of powder) 45 ml (3 tablespoons) of warm olive oil. Massage movements apply the mixture to problem areas daily at bedtime. Store leftovers in the fridge in a bottle of dark glass. To get rid of acne, prepare a cleansing mask. Mix 1/3 teaspoon of Shilajit with a tablespoon of liquid honey. Wait until the powder is completely dissolved. Apply the mask on your face, soak 15-20 minutes and then rinse with cool water. To prepare a tonic lotion dissolve 2 grams mumie (10 tablets or ½ teaspoon of powder) to 50 ml (1/4 Cup) of dry white wine. The resulting composition wipe the face morning and evening. For getting rid of scars dissolve 1 gram Shilajit in a teaspoon of warm water. Mix the resulting solution with any tube of baby cream. Daily RUB the cream into the area of the scar and massaged. To accelerate the healing of wounds, treatment of periodontitis, stomatitis and pharyngitis 2 grams mummy dissolve in 1 liter of warm boiled water. Wet with a solution the wound or use for gargling and mouth. Keep part in the fridge before use, heat to 40 degrees. To prepare the means of stimulating the immune system, dissolve 1 gram Shilajit in a liter of boiled water. Drink the resulting solution in half a glass 30 minutes before eating for one month. 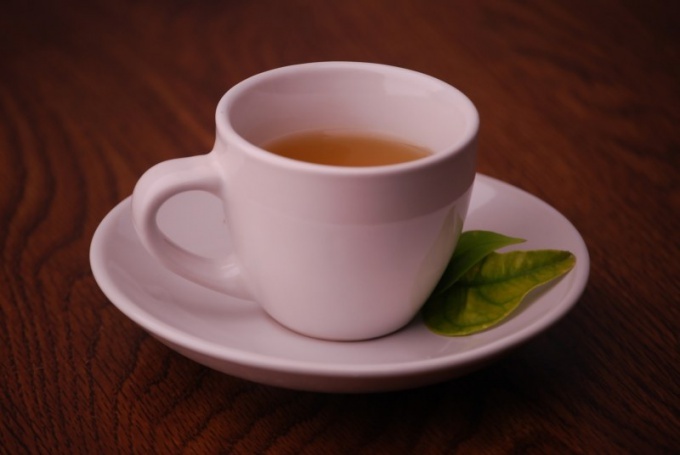 With the same purpose, you can take daily one tablet Shilajit, dissolving it in a Cup of warm tea. To eliminate heartburn dissolve 1 tablet of Shilajit (0.2 g) in a tablespoon of milk. Drink the resulting solution. To food intake can only start in half an hour. Before applying mummy always consult with your doctor. Shilajit is a bio-organic compound containing in its composition a combination of tomlanovich and citric acid, minerals to. Nature itself took care of a unique composition of components that assist to cure a number of diseases. Therapeutic effect is manifested in the Shilajit bio-stimulating and regenerative processes. Also Bioorganic compound has adaptogenic and andprotecting effect. The list of indications for the use of Shilajit is wide enough. If the patient does not help the modern pharmaceuticals is to the methods of basic therapy add Shilajit. When you receive a unique bio-organic compounds can greatly enhance the process of regeneration and trophism of tissues, to inhibit the growth of malignant tumors, to restore the function of affected organs. Adaptogenic properties of Shilajit lies in the ability to eliminate chronic fatigue syndrome, normalize blood pressure, hormones and the immune system, to restore the excretory and antitoxic functions of the liver, to increase or decrease the number of white blood cells. Shilajit is a diuretic and helps cleanse the body from excessive amounts of salt, toxins, poisons, toxins, lactic acid. When ulcers stomach and duodenal ulcers Shilajit helps scarring of the mucous membrane, to restore appetite, to normalize the acid balance. Apply bio-organic compound is necessary, dissolved in water 0.5 g twice a day for two weeks. After the fourteen days break, the course of treatment can be repeated. Diseases of the liver and kidneys treated with a solution mumie. For its preparation 3 g of the mummy dissolved in two or three liters of cold boiled water and apply 20-30 ml of solution 4 times a day for 30-40 minutes before meals and at bedtime. Constipation, intestinal atony, colitis, Shilajit take 100 ml twice a day on an empty stomach. To prepare the solution using 2 g of the mummy and 1 liter of boiled water. The same method is recommended when belching, vomiting, nausea, heartburn. Inflammatory diseases of the upper and lower respiratory tract, chronic allergic diseases, suppurative otitis media, treated with Shilajit, taking 0.3 g three times a day. Pre-bio-organic compound is dissolved in a little water, add milk to make a volume of 200 ml and a teaspoon of honey. 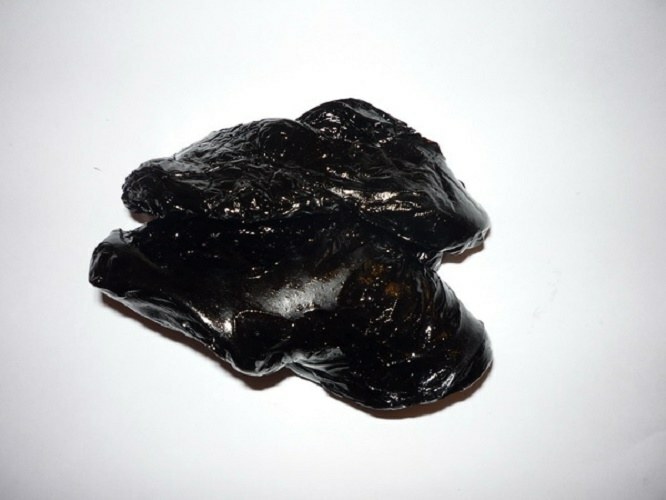 In addition, Shilajit helps in the treatment of thrombophlebitis, diabetes mellitus, headache, migraine, epilepsy, paralysis, asthma, tumors, burns, cuts, rheumatism, sciatica, neuralgia, neurodermatitis, infertility, hemorrhoids, cystitis. At present, Shilajit can be purchased at the pharmacy in the form of tablets, solutions for oral administration, powder. Method of application and doses specified in the annotation. Nature gave man a lot of means to restore health. Natural ingredients shown to the children, as their body has not matured. Shilajit is very useful for kids if you give it correctly. Shilajit, which bears the name of "mountain wax", "sweat of the rock" and "stone glue", is organo-mineral product that contains many trace minerals, fatty acids and amino acids. It speeds up the metabolism, stimulating cell regeneration. Therefore, Shilajit is considered a therapeutic agent. When the prescribed dosage, the side effects from the use of Shilajit is not. In addition, it is even indicated for the treatment of allergies. You can give mummy children from the age of three. Daily dose for infants under one year is 0.01 – 0.02 g. during the period from one to nine years, the dose is increased to 0.05 g, and from 9 to 14 years – to 0.1 g of Mumiye is required to be soaked in warm clean water to 5 g in 300 ml. is Necessary for the teenager 0.1 g will be contained in 5 ml solution. Mummy give infant along with a drink or food. Also use a product to compress, rastirok, rinse. The older the child, the less you need to think of ways to give him medicine. It is possible to cure many chronic diseases with the help of this product. 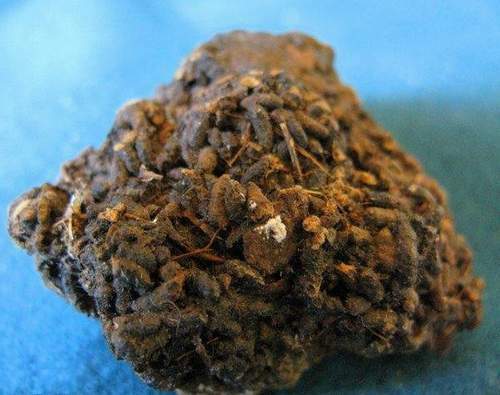 For example, Shilajit is very useful for children suffering from asthma, allergies, sinusitis. Children asmatica need to give mummy at bedtime age-appropriate dosage, pre-mixed mortar with goat's milk, honey or cow fat. The course of treatment – a month. If the disease does not retreat, take a break for 7-10 days and repeat the course. For Allergy treatment it is necessary to prepare a 0.1% solution (1 g mumie on 1 l of water). Child up to three years need to drink 50 ml of the medication on an empty stomach before Breakfast. Children from four to seven years – 70 ml, 8 years – 100 ml. the Course is conducted over 20 days. If allergic retreated earlier, you need to stop treatment. If one course was not enough, you need to repeat it, but on other conditions. To reduce the concentration of the solution twice and split the daily dose into two doses. 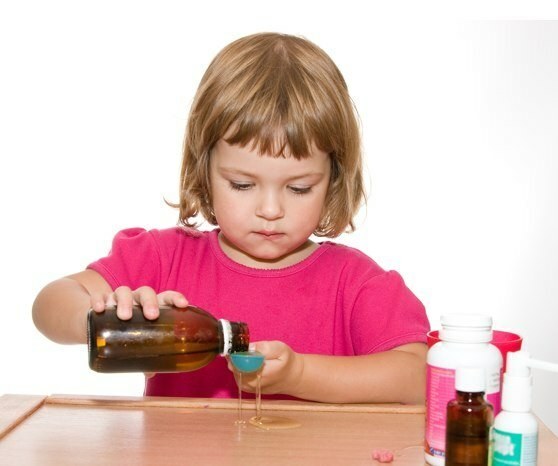 To save a child from sinusitis, you can use drops from mummy (0.1 g) and camphor oil (1 ml). To bury your nose three times a day 5 drops for weeks. This method helps get rid of sinusitis. Unfortunately, such a serious illness, such as diabetes, does not spare even young children. Drug treatment under 18 years is free, but many parents do not know how to provide your adult child with the necessary medicines, which are expensive. You can use the time to adulthood, using the treatment of diabetes with Shilajit. You need to give children the mummy dissolved in a breast (for infants) or cow's milk, three times a day. Dosage is calculated based on the age of the child. The course of treatment is 28 days. Can hold up to three courses.